ST. LOUIS (CNS) — Archbishop Robert J. Carlson of St. Louis and the Rev. Matthew C. Harrison, president of the Lutheran Church-Missouri Synod, said they were shaken and shocked by reports that the body parts of babies were being harvested. In an Oct. 5 statement, the religious leaders cited the undercover videos released in recent weeks by the Center for Medical Progress showing Planned Parenthood officials and others discussing the transfer of body parts from aborted babies for research as cause for great concern. “Like millions of Americans, including those in the Roman Catholic Church and the Lutheran Church-Missouri Synod, we have been shaken to the core by what we have witnessed: intact babies, at times still alive, having their body parts harvested as a commodity,” the statement said. A series of 11 edited videos has been released by the Irvine, California-based Center for Medical Progress since July. The revelation has prompted investigations by state and federal officials into Planned Parenthood’s activities across the country. The statement described the videos as “offensive” but pointed out that they have only dealt with aspects of abortion, not abortion itself, which became a constitutional right after the 1973 U.S. Supreme Court Roe v. Wade decision. Archbishop Carlson and Rev. Harrison also affirmed their continued commitment to offer resources to help parents, regardless of faith background, who need medical, financial or social service assistance during pregnancy and afterward. Both churches are prepared to assist parents who make an adoption plan for their child. In the St. Louis Archdiocese, Cardinal John J. Carberry formed the Respect Life Apostolate in 1973 in response to the Roe v. Wade decision. 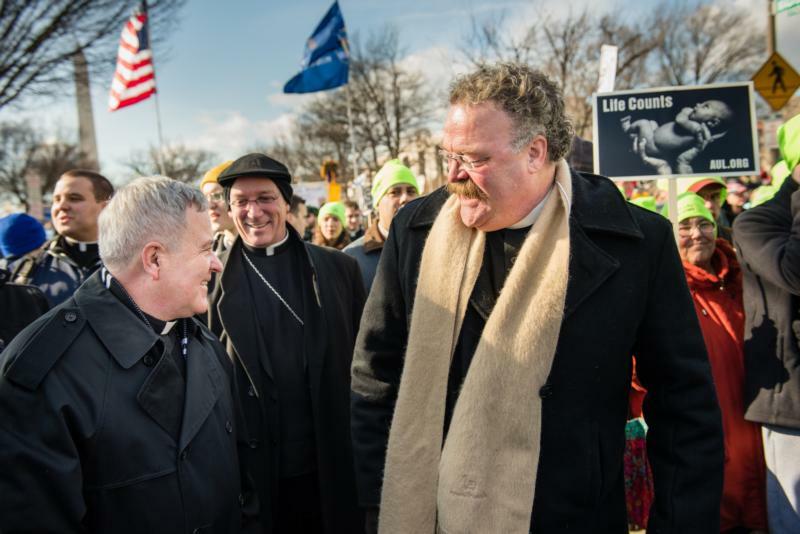 It was the first agency of its kind in a U.S. Catholic diocese and became recognized as a model for respect life offices in other U.S. dioceses. The apostolate promotes the Catholic Church’s teachings on respect for human life from conception until natural death, based on the four pillars of spiritual support, pastoral care, education and public policy. “I am confident that working together to create a culture of life will inspire more people of faith and goodwill to unite and end abortion,” she said. Founded in 1847, the Lutheran Church-Missouri Synod is headquartered in St. Louis and has more than 2.2 million members in about 6,100 congregations and more than 9,000 pastors nationwide.